MOSCOW, Russia, CMC- Three of the world’s biggest track & field names, Usain Bolt, Kirani James and Shelly-Ann Fraser-Pryce, are finalizing preparations here for tomorrow’s start of the 14th IAAF World Athletics Championships. Jamaica with their 44-member team, again lead the over 170 Caribbean athletes down to compete at the nine-day championships in the Russian city. Bolt, the biggest name in the sport, will begin to carry the region’s hopes for medals from as early as tomorrow’s opening day. 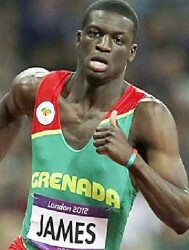 He is down to run the preliminary round of the men’s 100m, the event he false started in Daegu, South Korea. The two-time Olympic sprint double champion, is targeting great things. 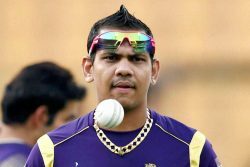 “I think I definitely want to regain my title,” he said. Bolt, Jamaican teammates Nesta Carter, Kemar Bailey-Cole and Nickel Ashmeade, along with other notable Caribbean sprinters Richard Thompson and Keston Bledman of Trinidad & Tobago, Daniel Bailey of Antigua and Barbuda, Cayman Islands’ Kemar Hyman, are others who will try to shut out American Justin Gatlin and company. James, the World and Olympic champion, lines up in the 400m, but should get some challenge from American LaShawn Merritt. Both enjoyed some very close battles over the last year with the American getting to the finish line on only one occasion. The Caribbean will be looking for at least two medals in the men’s 400m and with Chris Brown, who led Bahamas’ victory charge in the 4x400m at last year’s Olympic Games, his teammate Ramon Miller, along with Deon Lendore, a member of Trinidad & Tobago’s Olympic Games 4x400m bronze medal team, things are looking positive. 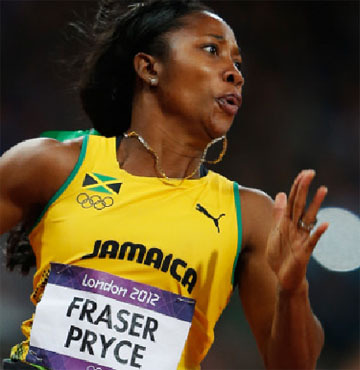 Fraser-Pryce, like Bolt, goes in search of the women’s sprint double. She, however, faces a stiffer challenge against Nigerian Blessing Okagbare, who beat her in both sprints this season, and former three-time champion Allyson Felix in the 200m. Fraser-Pryce won’t be paying any attention to her competitors. “I am not thinking about anybody else because for me, I believe at championships persons don’t come here to lay down and hand you a medal, I am here to focus on what I need to do, focus on my lane and everything else will fall into place,” she said. Kerron Stewart, silver medallist at the 2008 Olympic and a consistent member of Jamaica’s 4x100m team for the past five years, could also surprise many. Sheniqua Ferguson of Bahamas, Schillonie Calvert and Sheri-Ann Brooks of Jamaica, Trinidad & Tobago’s Kai Selvon and Michelle-Lee Ahye are others in search of big breaks. 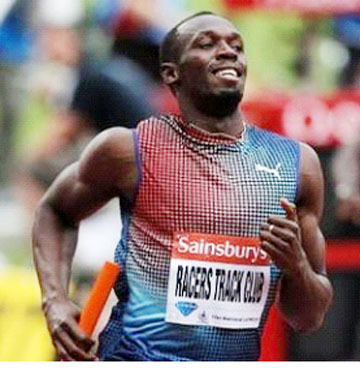 Over the remainder of the Championships, Trinidad & Tobago’s Olympic javelin champion Keshon Walcott looks to regain his form of 2012, Warren Weir of Jamaica said he will be challenging Bolt for gold in the men’s 200m, Kaliese Spencer, last year’s Diamond League winner, goes for her first 400m hurdles medal. Hansle Parchment, who hurt himself during warm-up at the Jamaican trials, made it clear he wants to do better than his bronze medal finish at the London Olympic Games. Bahamian Anthonique Strachan, the world junior sprint double champion, will also be looking to make her name in Moscow.